If you want to buy wines in Finland you have to go to Alko, which is monopoly company owned by Finnish government. Nowadays you can utilize web shops, if you pay Finnish alcohol tax for your purchases. When visiting Alko I usually read carefully what is written on the labels explaining if the wine is dry, full-bodied and so on. 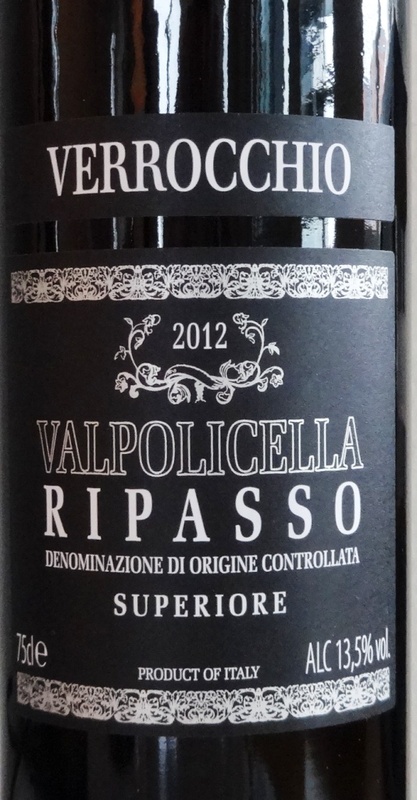 I chose Italian red wine Verrocchio Valpolicella Superiore Ripasso 2012 partly based on the information of it’s label on wine cabinet. This visit was about 2 months ago. The label said that wine should have medium tannins. I am not a fan of wines which include too much tannins because they are just too “hard” to be enjoyed. But information on the label was based on vintage 2011 and purchased wine had changed to 2012. On the label there was nothing about vintage. Because of amount of tannins had to check what Alko said on their web Pages about the wine. Same story from year 2011! When checking again few days ago, vintage had been changed to 2012 at Alko web page. But still story about medium tannins…..
Wine is made from grapes Corvina and Rondinella. Typical Ripasso grapes. Dark red, some hints of brown color. Ripasso type, but you can already notice the tannins. For me, lot’s of tannins, full-bodied, dark berries, warm. 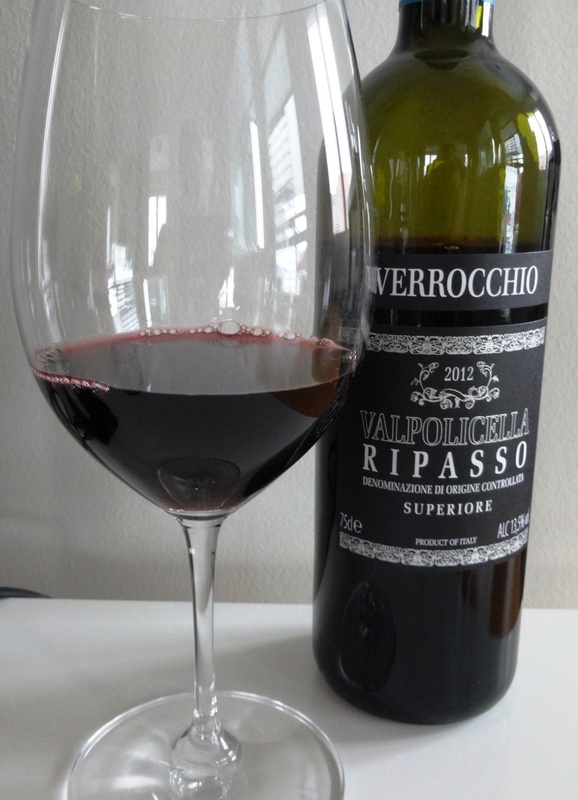 Ripasso, the younger brother or sister of Amarone, is excellent wine for every ocation. Suits for all meats and of course with Italian food. Unfortunately misleading (old) information did not make this tasting as pleasant as it could be. Therefore only 3,5. Would like to try vintage 2011 to see if the label at Alko was right about year older Ripasso.